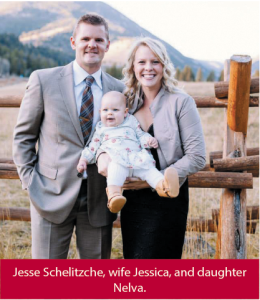 Home / In The News / Precision Machining Magazine Who’s Who – Jesse Schelitzche – President of Imagineering Machine Inc.
Jesse Schelitzche, President of Imagineering Machine Inc, was featured in the July issue of Precision Manufacturing Magazine. The article highlights his road to leading a manufacturing company, some of the experiences he’s encountered running a 2nd generation family business, and how he spends his free time. Read more about Jesse, his family, Imagineering Machine Inc, and what keeps him motivated each day. Congrats on a great article! Precision Manufacturing Magazine is a publication produced by the Minnesota Precision Manufacturing Association (MPMA), a trade association representing over 400 manufacturers and affiliates contributing to the Minnesota economy each day. You can find more about the organization at www.mpma.com.